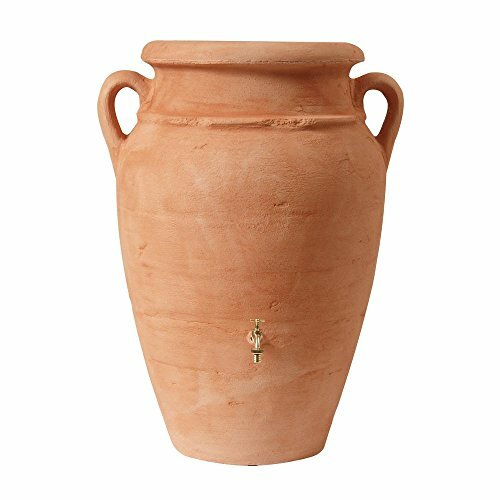 Roman Rain Barrel - made from the highest grade of plastics LLD PE - 66 Gal. Includes brass spigot and a universal downspout connection kit (with drill bit). Needs to be emptied during heavy frost. UV stable and weather resistant.